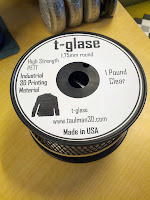 I got my hands on a spool of the latest 3d printing Filament called T-Glase from the folks over at Taulman3d.com . 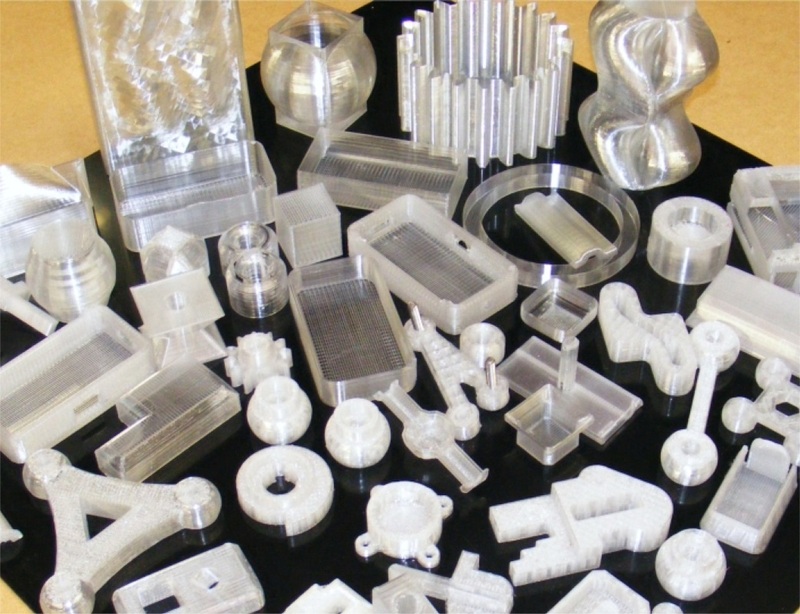 Its a low temp (212c) filament that is food safe (its FDA approved! 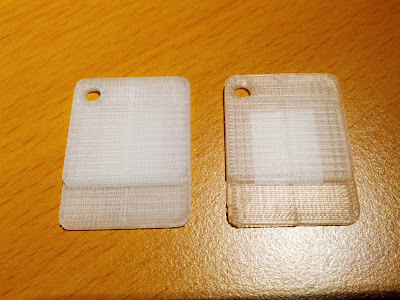 ), no fumes when printing, has excellent layer bonding, almost no shrinkage, and has great strength and is stiff like pla/abs, prior to to printing its very flexible(see video below). 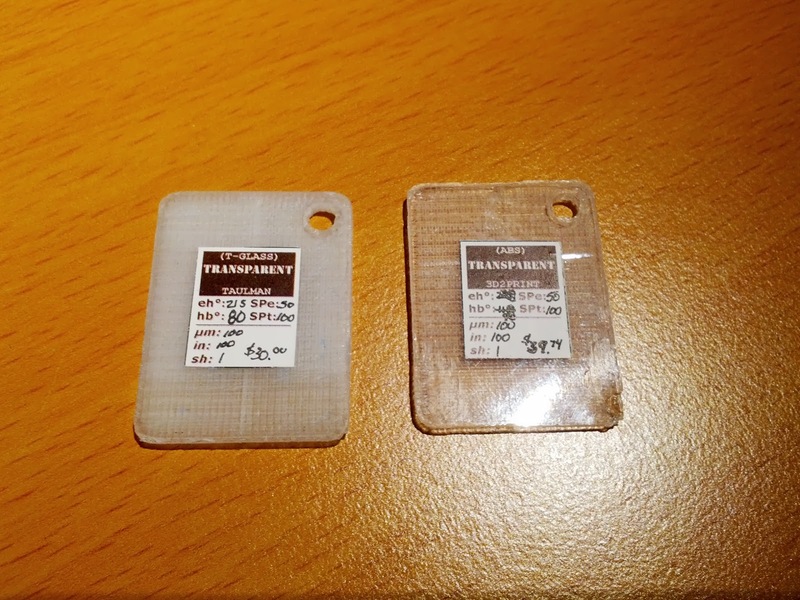 There is also discussion of various colors in this materials for release later this year or early next and the man they got to help with the colorizing of the filament is none other than Rich from Richrap.com . The filament is a bit on the pricy side @ $30 for just 1 lbs of filament, which the normal spools of ABS/PLA are 1kg or 2.2 lbs and go for as little as $19.99 to $30 on average. 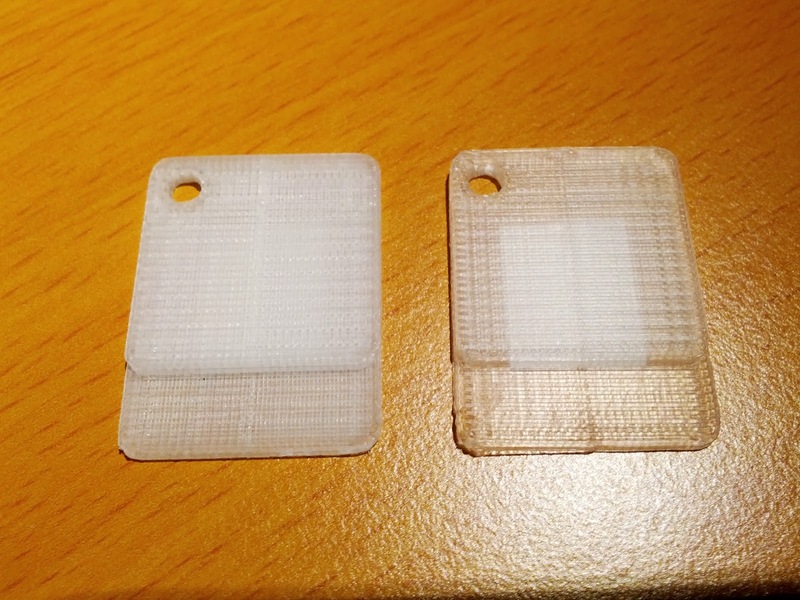 UPDATE: So I arrived home and put this into the Rep2x and printed out a small sample chip I used 215c print head, 80c heated print bed, 50 head speed extrusion with 150 travel, 1 shell, 100% infill. 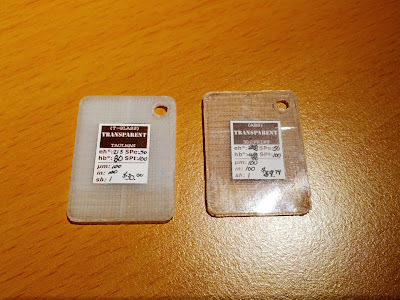 I set another sample chip next to it, transparent abs from 3d2print, the t-glase is on the LEFT. Here is the pic of the results. I printed this on blue painters tape. Also once printed its stiff like PLA/ABS.